Today I had a bit of a play before I went to see Mamma Mia at the theatre with my mother and Miss K.
First up is a card for the current MUSE challenge. Kim is the muse this week with an adorable hippo card. I loved the pink, white and grey colour scheme along with the animal layout, so went for a stamp set by MFT called ‘BB Polar Bear Pals’ coloured with my alcohol markers. Next up is a card for the current challenge on the CASology blog. 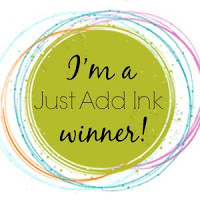 This challenge is all about dresses so I pulled out a Unity Stamp Co monthly kit from May 2014 called ‘Hey Girl’. I stamped the hanging dresses with Momento Black ink and coloured in with my Stampin Blends in a variety of pinks. I just wanted to colour one dress so it became the focal point. Next is a card for the current Male Room Challenge which is to use geometrics on your card. I used a stamp set I borrowed from my friend Michelle by Catherine Pooler Designs called ‘Stained Glass’ which I coloured portions in with my Zig markers. I was going to do more colouring but decided that it might become too busy so stuck with the monochrome blue look. The sentiment is from Altenew called ‘Birthday Greetings’ and I mounted the geometric panel of a couple of layers of blue cardstock. Well that’s it for this weekend. Thanks for looking and have a great day. Great selection of cards Tristan! Love the selective colouring on the last card, it reminds me of a church window. Did you make that second card especially for me?? LOL Come on I know you did! What a great set of cards! I love the sequins on the first for the Muse and adore the selectively colored dress. Thanks for sharing with us at CASology this week, Tristan! wonderful collection of cards! really love your sweet polar bear, so fun. thank you so much for playing along with us at muse this week! Thanks Kim. Your card was so adorable. Fabulous cards – love the partial colouring of that Catherine Pooler background and the Muse bears are adorable! Thanks for joining us at Muse this week! Three stunning cards Tristan. Love those Polar Bears. Totally gorgeous. Love the way you highlighted just the one dress. Wonderfully CAS. Thanks for joining in the fun as CASology this week. Wow! You’ve created three amazing cards! Love the stamp you’ve choses for the Geometric challenge at The Male Room. Thanks for playing along with us. Looking forward to seeing your creative projects in the future galleries again. What a wonderful crafty weekend you have had. Absolutely love your adorable card for MUSE. Love what you have done with those sweet polar bears. Your CASology card is outstanding–wonderful depth of coloring. And, what a geometric beauty on your last card. Thanks so much for playing along at CASology this week. Love your bears, dresses and blue, black and white! Wonderful cards. I think your simple blue colouring is perfect for the stained glass effect, it’s a beautiful card (as are your other cards.) Thank you so much for joining us in our Geometric challenge at The Male Room this week. Looking forward to see you again next challenge. Thank you for joining us at The Male Room with your gorgeous geometric pattern card, I think you’re right, just the blue is perfect.